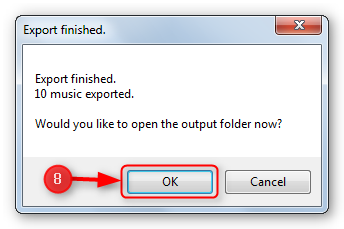 Learn about the best and easiest way to transfer music from iPad to computer for FREE! 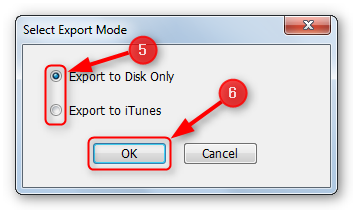 Although iTunes does not have a feature for transfer music from iPad to computer, you can easily do this with Free iPad to Computer Transfer program. 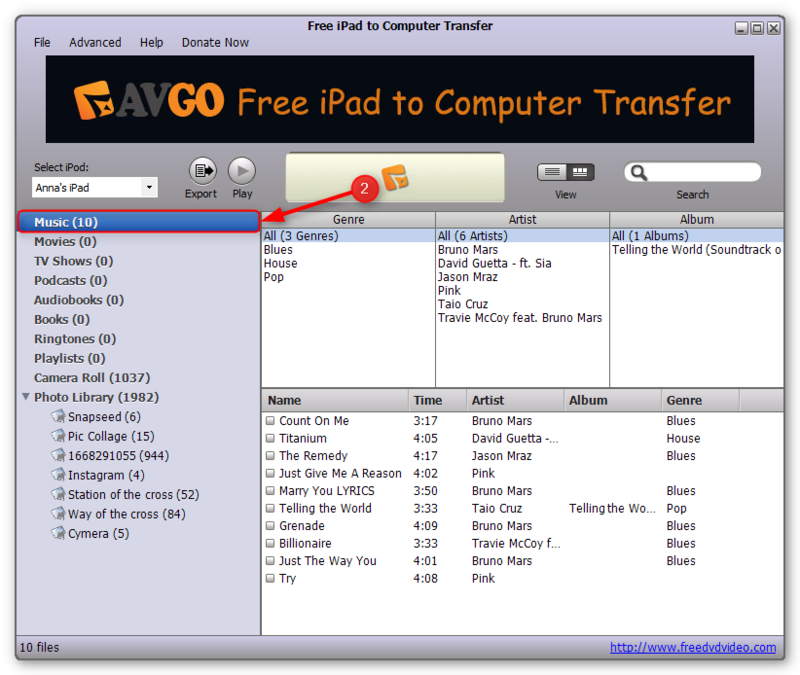 AVGO Free iPad to Comptuer Transfer is the best back-up utility software that can assist you in transferring music from iPad to computer. 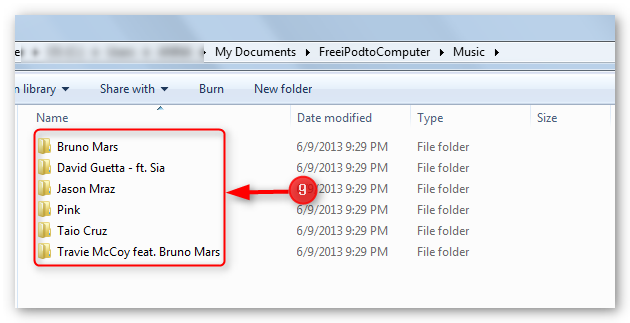 That’s not all, this one of a kind software can also back-up movies, videos, photos, playlist and more for free. 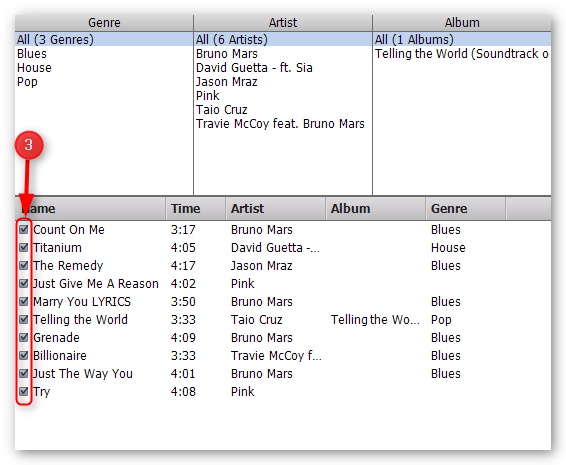 You can also choose where to store the back-up files (disk or iTunes). It has user-friendly features that even non-techie will have the best of time using it. Wait no more, start enjoying the awesomeness of Free iPad to Computer Transfer program now!